The Joint Commission Accreditation was achieved in September 1999, making this one of only twelve governmental agencies in the United States to be accredited by The Joint Commission. 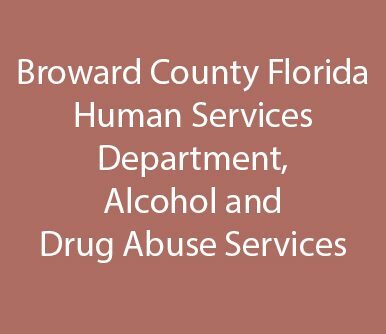 Alcohol and Drug Abuse Services is a division of the Human Services Department of Broward County, Florida. The project was started in October 1999 with a target survey date of August 1999. The project was completed on time and within budget. The scope of the project was five sites, four program components, and 250 staff. The program components included a 30-bed medical detox, 100-bed residential program, day/night treatment program, and outpatient treatment programs. Broward Addiction Recovery Center (BARC) is the largest county alcohol and drug abuse in the state of Florida. Ms. Potere was the project manager of the entire The Joint Commission preparation process with a staff of three. This contract has remained ongoing since the accreditation survey. Billable services have included ongoing participation in the Agency’s Performance Improvement Process, revamping of the Medical Records Systems at the Booher building, development and revision of policies and procedures as requested, development of audit tools based on specific program needs and regulatory requirements, interfaced with the Agency’s management information system. Continued participation and attendance at Performance Improvement other committee meetings. Continued monitoring to ensure compliance with The Joint Commission, DCF, AHCA,and Medicaid standards and billing recoupment. This project is ongoing through 2006.